Danielle is the Director of 12 Points Psychology. She is a clinical psychologist with over 12 years experience working with children, teens and adults in a variety of settings including; inpatient units, early parenting centres, community services agencies, schools and universities. 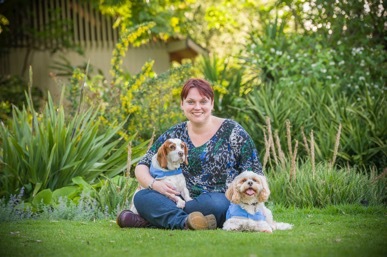 Danielle has additional qualifications in medical science and animal-assisted therapy and draws on her diverse training and experience to provide individualised, client-centered psychological services to people with experiences of; mood and anxiety disorders, trauma, grief (including pet loss), chronic illness and personality disorders. She is looking forward to translating her clinical experience into engaging and relevant training sessions.